In celebration of the 60th anniversary of the National Resistance and the 62nd anniversary of the Vietnamese People’s Army, a musical show entitled "Fatherland’s Glory" was staged at the Ho Chi Minh City Opera House yesterday. 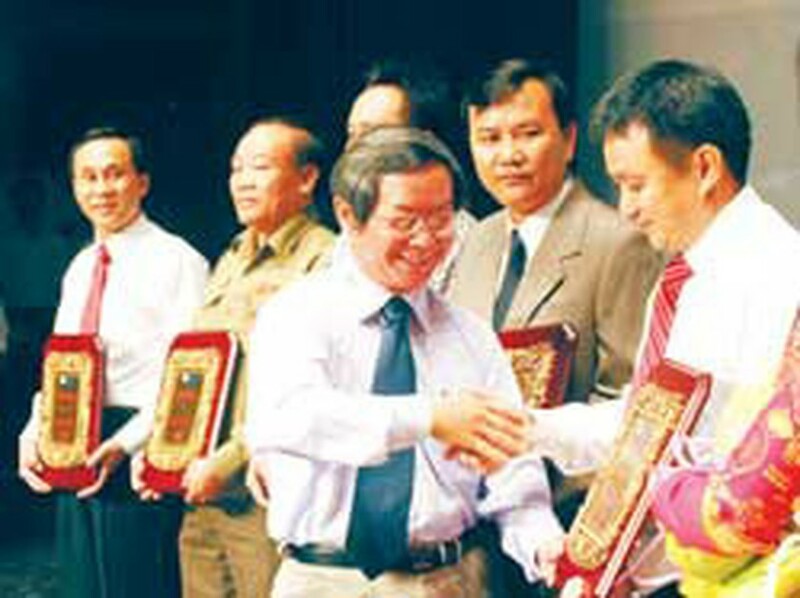 Sai Gon Giai Phong Newspaper's Editor-in-Chief Duong Trong Dat hands over medals to sponsors to acknowledge their contribution to the show. “Revolutionary music has brought joy to many generations of Vietnamese soldiers and encouraged them during periods of conflict”, the Sai Gon Giai Phong Newspaper's Editor-in -Chief Duong Trong Dat said at the show. On this occasion, a war veteran and prominent businessman donated savings books worth VND10 million to two heroic mothers. Many well-known revolutionary songs were performed by veteran singers including Tuong Vi, Tran Hieu, Ai Xuan, Ta Minh Tam, Hoang Vinh, Cao Minh and others. Phan Trung Kien and Nguyen Thanh Trung, two heroes of the People’s Armed Forces, were also on stage to talk about their work and take questions from the audience. The show was attended by Ho Chi Minh City Party chief Le Thanh Hai, Senior Lieutenant-General and Deputy Minister of Defence Phan Trung Kien, Colonel and Hero of the People’s Armed Forces Ho Thi Bi, city representatives and ordinary music lovers. 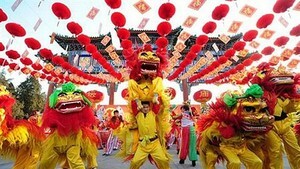 The event is jointly organized by the Sai Gon Giai Phong Newspaper, Ho Chi Minh City Television, Dong Nai Province Television and the International Media Company.